Hardscrabble is Linden’s estate vineyard that surrounds the winery. The ridges and hollows of this part of the Blue Ridge have been known as Hardscrabble for generations. Appropriately named for steep, poor, rocky slopes that were difficult to farm, these soils have been wonderful for vines. Excessively well-drained granite-based soils grow the best quality red grapes, while the white varieties do better in the heavier greenstone silt/clay soils. Elevation is 1,100 to 1,400 feet (370 to 470 meters). Slope aspect is primarily east, with some south and northeastern exposures. The first plantings date from 1985. All vines are cane pruned (double Guyot) with the exception of some Merlot that is cordon pruned. Most of the vineyard is on VSP. Some plantings from the 1980s and 1990s are on Lyre, but these are slowly being removed or converted to VSP. Vines per acre range from 605 to 2,475 (1,500 to 6,000 per hectare). Distance between vines range from 32 inches to 6 feet with the narrower spacing being more appropriate for less fertile soils. New plantings are spaced either 3 or 4 feet between vines. We now have only narrow vineyard tractors, which has allowed us to plant our rows much tighter. New plantings on VSP are at 6 or 7 feet between rows. Most of the older plantings at Hardscrabble occurred before clonal material became available. Beginning in 2001 we have been doing several experimental clonal plantings, especially with Cabernet Sauvignon, Merlot, and Chardonnay. It takes decades of growing, observation and winemaking to evaluate clonal performance on any given site. Beginning with our first plantings in 1985 we have done much experimentation with rootstocks, starting with seven different rootstocks in both Cabernet Sauvignon and Chardonnay. At that time we were looking primarily for devigorating characteristics. Four rootstocks have done well: Riperia Gloire (for Cabernet Sauvignon, Cabernet Franc, and Petit Verdot), 101-14, 3309, and 420-A (for Merlot and white varieties). All four of these rootstocks show similar low vigor characteristics. We are now evaluating their affects on vegetative cycles and ripening times. Harvest usually begins in early September with Sauvignon Blanc. All the whites are picked by early October. Most of the reds are harvested in late September and early October. Late Harvest Vidal and Petit Manseng are picked in November. Yields for the reds average around 3 tons per acre (40 to 45 hectoliters per hectare) and slightly higher for the whites. Hardscrabble’s signature is firmly structured wines that develop slowly and take on more depth with time. Because of the older vines and diversity of soils, wines from the Hardscrabble site have a great deal of complexity. Reds can be somewhat tight and closed for the first 3 years, and then slowly they take on flesh and become more supple and aromatic. They can be reminiscent of a Medoc or Pessac-Leognan. The Chardonnays are Burgundian (emulating Puligny) in style and require 3 or 4 years aging before they evolve. The first 6 acres were planted in 1985. There are now 20 acres of vines. 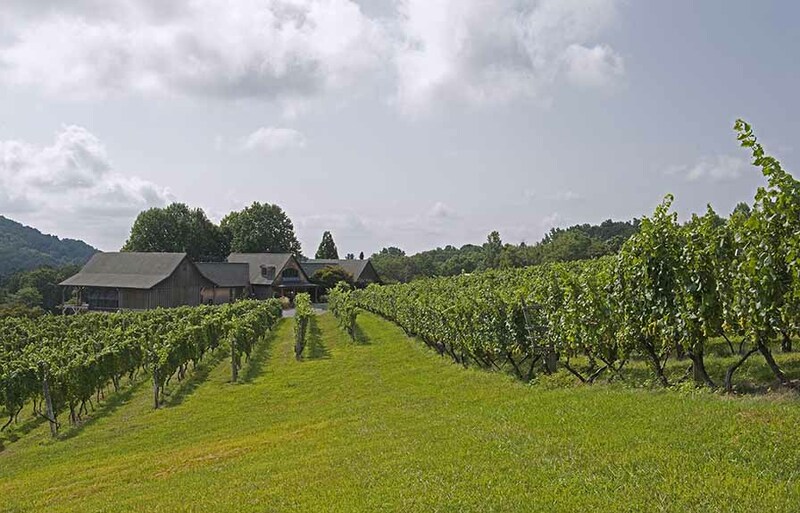 Located one half-mile north of Hardscrabble, the eponymous Avenius Vineyard was planted in 1996 by Shari Avenius, Linden’s manager. Elevation is 1,300 to 1,400 feet with east to northeast exposures. Soils are varied with shale, granite and greenstone. Original plantings of Sauvignon Blanc, Chardonnay, and Cabernet Sauvignon are all trained on the Lyre system. Petit Verdot and Merlot are on VSP. All are cane pruned. Avenius is our coolest site, often making it the last to harvest. Typically the whites are harvested from mid to late September and the reds in October. Yields are low due to small cluster size and sometimes severe crop thinning in the reds to ensure full ripeness. Avenius Vineyard is about minerality and verve. Whites tend to be focused on stony, flint/chalk flavors with citrus and green apple notes. Chardonnay is Chablis-like in style. Great seafood wines. Reds tend to be quite structured, very Italian-like with earthy aromas and firm acidity and tannins. Sauvignon Blanc and Chardonnay were planted first, then followed by Petit Verdot and Cabernet Sauvignon in 1998 and 1999. 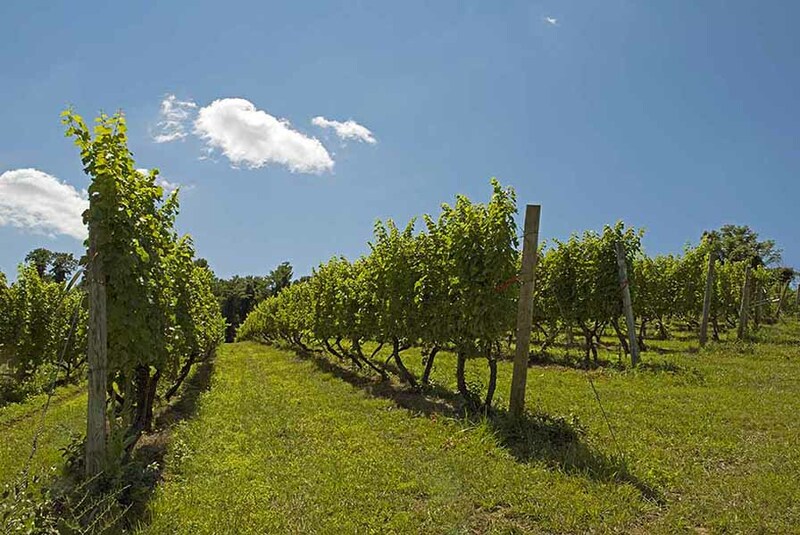 The eponymous vineyard is located in the town of Front Royal on a western facing bluff above the Shenandoah Valley at an elevation of 600 feet. It was planted in 2000 by Richard Boisseau on his ancestral farm. The entire vineyard is cordon trained on VSP. Older vines are planted at 10 × 7 feet or 622 vines per acre. New plantings are at 10 × 3.5 feet or 1,244 vines per acre. Boisseau is Linden’s warmest site and is the first to ripen. Chardonnay and Viognier are usually picked in early September. The red harvest starts in late September. Yields at Boisseau are usually higher than the other sites due to the warmer temperatures, younger vines, and more vigorous soils. Boisseau wines tend to be very fruit forward with lots of mid-palate fat. They show very well when young and are especially appealing in blind tastings. The Chardonnay is Mâcon-like with tropical fruit and richness. The Boisseau Red has an almost Southern Rhone texture.